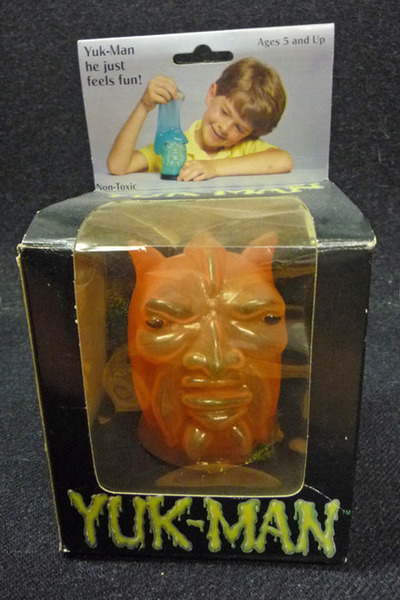 Toys that feel and act like snot are always welcome in Bunk’s House. Almost as much fun as the real thing, too. This entry was posted on Wednesday, 19 May 2010 at 12:05 AM and is filed under Bizarre, Christmas, Cool, Gift Ideas, Humor, New Snot, News Not, Not News, Odd, Retro, Stupid, Superheroes. You can follow any responses to this entry through the RSS 2.0 feed. You can leave a response, or trackback from your own site. I used to have a bucket of SLIME, but it was lost somewhere in Saskatchewan. I waved goodbye as it stretched and stretched from one of the back windows of the car I was in. note: I’m still thinking of that “walking with an accent” comment. Classic! ooooh. I remember that Slime. It felt so funky in your hands, but it was fun to play with. Bet the monster would be really cool. plane– SO THAT WAS YOU IN FRONT OF ME! GAWD WAS I PISSED! It’s so very clear that my parents didn’t love me. I just got a crappy flashlight with the 10 pound battery in it, and they told me to go pet the slugs in the garden. Zanyp– Don’t for a minute doubt your parents for a minute. They wanted to make sure you were getting enough protein in your diet. Mine did the same thing. Now that I be all growed up and stuff, ain’t no slugs in my yard.